There’s not a parent alive who doesn’t wonder, at one time or another, whether or not their kids are meeting their nutritional needs. After all, kids are growing and nutrition plays a vital role. Parents get that. I believe it’s important for you to have a good idea of what your child’s nutritional needs are at different stages — and how to meet them. You don’t have to be a nutritionist, but learning the basics will help quell that voice that causes you to go crazy with worry. Welcome to our Kids’ Nutrition Eating Series. Before getting to the good stuff, I want to discuss myths that get in the way of providing nutrition for kids. And some of them might surprise you. I’ll never forget the sigh of relief the parents felt when my nutrition professor announced that kids could meet their vitamin and minerals needs on fruit alone. Yet parents believe their kid will miss critical nutrients if they don’t eat their greens, which is why pressuring and hiding them in food is so popular. While vegetables are great because they are nutrient-dense for so few calories–something particularly important for adults — they aren’t a must-have for kids’ nutrition. Fruit, also nutrient-dense but more preferred by young children often does the job. According to a study published in Archives of Pediatrics and Adolescent Medicine, one-third of kids take multivitamins. Yet research reveals that most meet their needs except for a few key nutrients that may not be found in multivitamins in high enough quantities (if at all). And researchers are starting to worry that people are receiving too much of certain nutrients, like folic acid, which may adversely affect health. 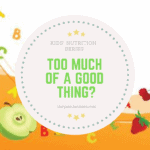 In this series, I’ll help you decide whether a multivitamin is right for your little one after taking into account the fortified and enriched products they may already be consuming. On the other end of the spectrum is the belief that kids consuming only natural and whole foods don’t need supplementation. And this includes breastfed babies and toddlers. In recent years researchers have started to speculate that there are certain nutrients that are difficult to meet even by natural means. We’ll be looking at key nutrients that even healthy-eating kids miss out on which will help you decide whether supplementing or tweaking your child’s diet, is needed. 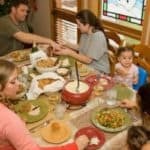 As a parent, you might understand the advice from experts not to make your child take a few bites of one food to have another (you know they want more bread but you say they have to take a few bites of peas, meat, fruit, etc.). You just feel better knowing they are getting some healthy food. But research shows the pleasure principle with eating does matter in how well the body absorbs nutrients. 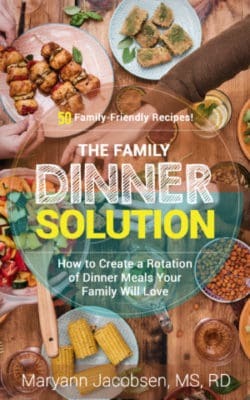 In Ellyn Satter’s book, Secrets of Feeding A Healthy Family, she discusses how enjoyment of food can improve nutrition. 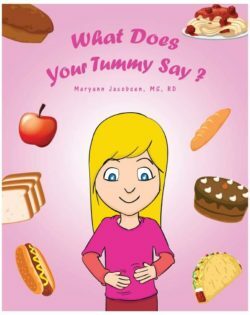 She explains how this may be related to the body’s cephalic phase of digestion which increases gastrointestinal activity when food is appealing. For example, a study published in the seventies showed that women who enjoyed a meal more absorbed 50% more iron than the women who thought the meal was too spicy. When the meal was pureed to a less desirable consistency the iron absorption decreased by 70 percent. Instead of this old feeding strategy that doesn’t work long term, we’ll talk about how to vary your child’s food at every meal to maximize variety — but leaving it up to them to enjoy as they see fit. I’ve had parents come to me wondering why their child seems so hungry. Once I find out what they are feeding them, I often find the child is getting little dietary fat. Here’s what no one is telling you: kids need more fat than adults do. And I’m not just talking about those 2 years and younger. Fat is an important source of calories for growing bodies and it plays a vital role in development. 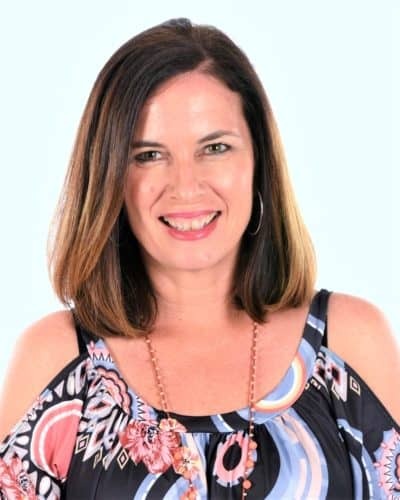 I will show you how to sensibly fit fat in your child’s diet. So tell me, what worries you the most about your child’s nutrition? Excellent information! I especially agree with #5 and the low-fat diets, and take it a step further and say that we all, young and old, need more good fats (and more than the FDA says. ) Let’s more good fat and a lot less refined carbs and sugar. Thanks Emily. I think there’s a lot of conusion in this area and hope to clear things up…fat is not bad! My biggest concern is how much bread and bread products (goldfish, chips, popcorn, pretzels, naan, etc) my son wants to eat. He is 10 and this morning for breakfast he had 2 slices of 100% whole wheat toast, milk and raspberries for breakfast. He wanted more toast but I told him that if he was still hungry he could have yogurt, eggs (he doesn’t eat these), peanut butter…but he didn’t want anything else. I know that Ellen Slater would have disagreed, but sometimes I don’t think he is hungry, he wants to just sit at the table reading. Breakfast is the only meal where he reads the comics at the table. Allison — have you tried keeping food/eating separate from eating? Maybe having another place for him to read? Your advice has helped a lot to get my 3-year-old to eat something other than peanut butter sandwiches, fruit, and macaroni & cheese. The biggest concern I have is that she won’t eat meat. Her pediatrician is concerned that she’s not getting enough iron, so I feed her a multivitamin (making sure it has iron). I’m looking for ideas to get her to eat meat or some other balanced protein besides dairy. Dawn- I will defintely be addressing this as it’s pretty common. My 4-year old doesn’t eat a lot of meat and I give her a supplement with iron some days. More to come in the series! Amy — that’s part of the reason I’m doing this — to give parents peace of mind! I just have to say I love the way you present the myths and follow them up with easy to understand truths for parents. We’re right there with you on raising healthy eaters! Our most common questions from people at workshops are about “how much should” the kids be eating. 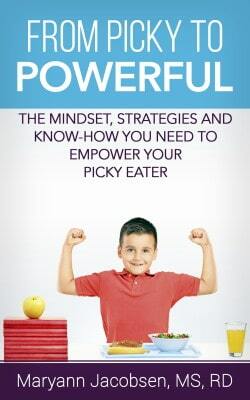 While we teach MyPyramid concepts to youth leaders and teachers, we still emphasize that all foods fit into a healthy diet and utilize Ellyn Satter’s eating competence model to train others as well. One thing all parents should know is food can be fun, too! Yes! Food is fun and nourishing. Sometimes we get bogged down with the “shoulds” that we often forget that! Dawn, my whole family are vegetarians, including my two children, ages 8 and 6. I’d recommend reading up on what vegetarian parents do to keep a balanced diet, until she is ready to eat more meat. My girls have never eaten a piece of meat a day in their lives and their happy, healthy and fit. A lot of children have a natural dislike of meat that will lessen with time assuming you keep offering it to them. In the meantime, I will tell you, as a vegetarian parent, that the biggest concern is not whether they get enough protein, but whether they get enough iron. Between milk, cheese, yogurt, tofu and beans my kids get plenty of protein but iron can be much harder. Both my girls eat salads with dark greens now, but when they were younger it was a bit harder. There is a stereotype of kids that don’t eat meat being sickly, but as long as they are getting a balanced diet, that really isn’t the case. Most people are shocked when they find out my kids have never had meat. Anyway, I’m really looking forward to this series! I hear these myths all the time when I work with parents at Feed Our Families so I’m glad you’ll be addressing them. I think some of them (like #1) will be a relief to many moms! 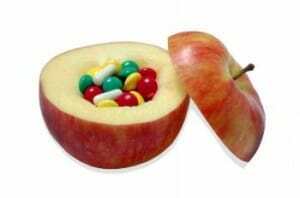 My children have always eaten such well-balanced diets that our traditional pediatrician never recommended vitamins. About two years ago we had my son’s nutrients levels tested and were shocked to learn he was anemic, and deficient in magnesium, vitamin d and zinc. We got his iron levels up but still need to supplement the others – and he couldn’t eat a healthier diet! His body just doesn’t absorb those nutrients to the degree he needs. We’ll be testing both of my children again soon to make sure they’re on track. Gina — I’m curious what prompted you to get your son’s nutrient levels checked? I need to make some of these into mantras and post them on my fridge. 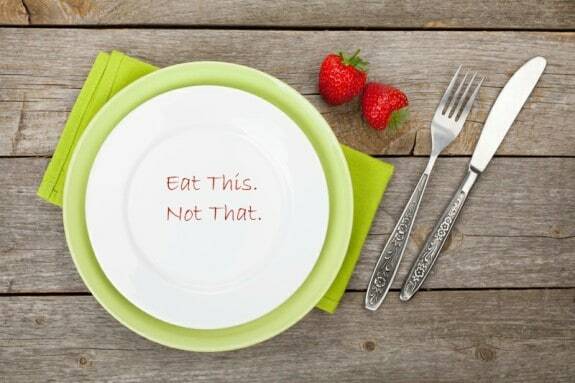 I know all the Ellyn Satter guidelines, but sometimes it’s a struggle, especially when all my friends are the “clean your plate” and “no rolls until you eat your veggies” type. Or last night when I pulled out 5 kinds of leftovers for leftover night and my 4 year old proclaimed he hadn’t liked any of them. Or the night before when we had cookies (with dinner) and my children each ate a cookie and said they were full. Or the nights when we have stir fry and my son just keeps asking for more rice and doesn’t eat anything else. Sometimes I suggest he sample his other foods and other times I’m slow to get him more, but I try not to make him eat one food before he can get another. It’s just incredibly frustrating sometimes! Candace — you are not alone. Following the DOR is not easy. Dinner is our hardest meal and my daughter often eats very little or just wants the rice or tortilla. But whenever I encourage her to eat or try foods — she gets worse. She’s pretty stubborn about food but then has times where she surprises me. I truly believe this will pay off in the long run, especially when they grow into adults who trust themselves around food and know not to eat more than their bodies need. I cannot tell you how many clients I have counseled who were taught to clean their plates or eat more than they needed. Hang in there! This is going to be great series! Thanks Marynn! For us, Myth #2 has always been a quandry for me. Our pediatrician pushes the multivitamin at every well-check and we’re rather sporadic about it. 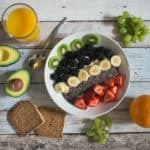 In general, I’d say my kids eat a wider variety of foods than their peers but I think pediatricians know that many children are not eating a balanced diet so they recommend the vitamin instead of teaching parents how to offer a more balanced selection of food. Of course they’re not dieticians so maybe that is why–it’s beyond their specialty and not enough time! But Myth #4 is a tough one for me. Both of my kids are sometimes apprehensive to try new foods…sometimes based on look alone. But after they try it, many times they are gobbling it up or even wanting seconds. If my husband and I don’t encourage the “at least one bite to try” then we’re wasting a lot of food and that’s a big concern for me lately. I guess I’m confused about the “polite bite” policy and the “let them do it in their own time” policy that Ellyn Satter suggests. Thanks Brenda! I’ll talk more about #2 in the series. 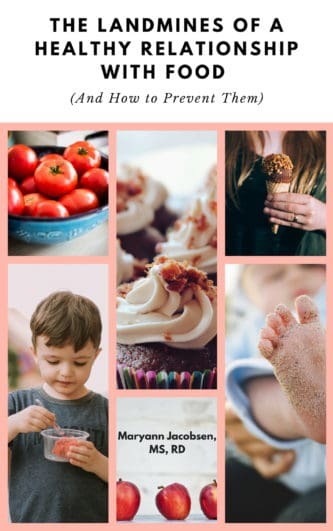 As for #4 there’s nothing wrong with encouraging your kids to try food — as long as it not pressure. As far as a one bite rule, more easy going kids do well with it but more stubborn ones will fight it. SO part of it is knowing your kid. I’m talking about making a kid eat more of something they may not like, or want to eat at that time, in order to get what they really want. I hope your questions get answered! I’d without a doubt donate to this outstanding blog! 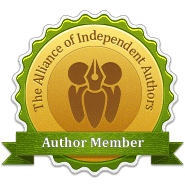 I guess for now i’ll settle for book-marking and adding your RSS feed to my Google account.